Executive Wine Editor of “Food & Wine Magazine” Ray Isle knows his vintages. He joined William Shatner this season on Brown Bag Wine Tasting to discuss the best wines to pair with Texas BBQ and put his journalism background to test while describing mystery wine in writing terms. Before Bill puts the wine expert to the ultimate test, Isle reveals he drank wine from a Civil War blockade runner shipwreck, making it about 200 years old. Was it tasty? His answer may surprise you. Shatner pours Isle some mystery wine and asks him to describe what he tastes in writer’s terms. Isle gives his take, “Even though it’s a red wine, I would say it’s black ink. It’s not blue ink or red ink. It’s black ink. It’s really dark, it’s intense.” He adds that it’s “handwritten,” rating the Stag’s Lear Wine Cellars 2012 Artemis Cabernet Sauvignon an overall 92 points on a scale of 100. 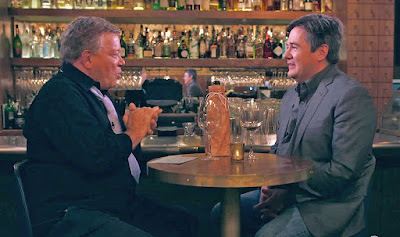 The new Ora TV web series Brown Bag Wine Tasting follows Shatner’s adventures as he asks willing participants to blindly taste wine and describe it in terms of their occupations, with the goal of making the show fun, interactive and a social experience. The series was created out of Shatner’s love of wine and conversation, as well as wanting to have a fun wine tasting experience in an entertaining format. 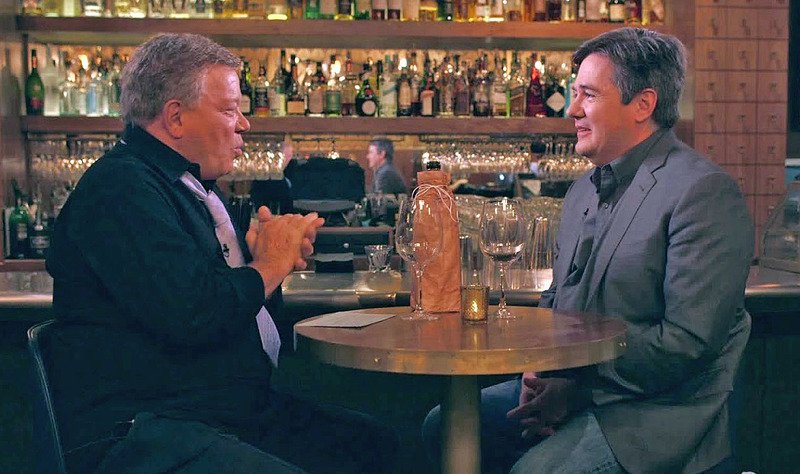 "I'm using wine as a way to explore the psyche of each of my guests," William Shatner, the legendary Star Trek captain explains. The original series is executive produced by Shatner and Scott Sternberg who will continue in his role as the series expands with Ora TV with the addition of Ora TV executive producer Jason Rovou.